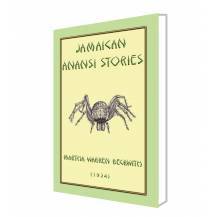 Herein you will find 149 Anansi tales and a further 18 Witticisms. 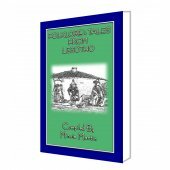 The stories are categorised into ANIMAL STORIES, OLD STORIES (CHIEFLY OF SORCERY), DANCE AND SONG and WITTICISMS. 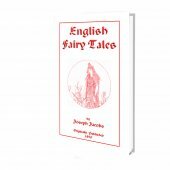 You will find stories as varied in title and content as THE FISH-BASKET, THE STORM, THE KING'S TWO DAUGHTERS, THE GUB-GUB PEAS, SIMON TOOTOOS, THE TREE-WIFE and many, many more unique tales. Two influences have dominated story-telling in Jamaica, the first an absorbing interest in the magical effect of song which far surpasses that in the action of the story; the second, the conception of the spider Anansi as the trickster hero among a group of animal figures. "Anansi stories" regularly form the entertainment during wake-nights, and it is difficult not to believe that the vividness with which these animal actors take part in the story springs from the idea that they really represent the dead in the underworld whose spirits have the power, according to the native belief, of taking animal form. In the local culture, magic songs are often used in communicating with the dead, and the obeah-man who sets a ghost upon an enemy often sends it in the form of some animal; hence there are animals which must be carefully handled lest they be something other than they appear. 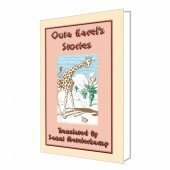 The importance of animal stories is further illustrated by the fact that animal stories form the greater part of this volume. A man plant a big field of gub-gub (black eyed) peas. He got a watchman put there. This watchman can't read. The peas grow lovely an' bear lovely; everybody pass by, in love with the peas. Anansi himself pass an' want to have some. He beg the watchman, but the watchman refuse to give him. He went an' pick up an' old envelope, present it to the watchman an' say the master say to give the watchman. The watchman say, "The master know that I cannot read an' he sen' this thing come an' give me?" Anansi say, "I will read it for you." He said, "Hear what it say! The master say, 'You mus' tie Mr. Anansi at the fattest part of the gub-gub peas an' when the belly full, let him go.'" 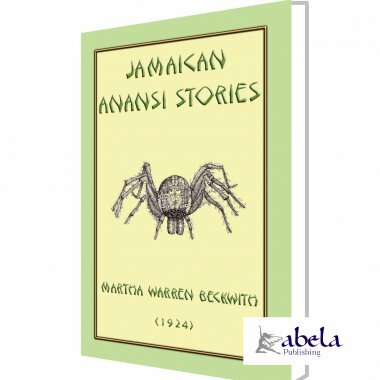 The watchman did so; when Anansi belly full, Anansi call to the watchman, an' the watchman let him go. After Anansi gone, the master of the peas come an' ask the watchman what was the matter with the peas. The watchman tol' him. Master say he see no man, no man came to him an' he send no letter, an' if a man come to him like that, he mus' tie him in the peas but no let him away till he come. The nex' day, Anansi come back with the same letter an' say, "Master say, give you this." Anansi read the same letter, an' watchman tie Anansi in the peas. An' when Anansi belly full, him call to the watchman to let him go, but watchman refuse. Anansi call out a second time, "Come, let me go!" The watchman say, "No, you don' go!" Anansi say, 'If you don' let me go, I spit on the groun' an' you rotten!" Watchman get frighten an' untie him. Few minutes after that the master came; an' tol' him if he come back the nex' time, no matter what he say, hol' him. The nex' day, Anansi came back with the same letter an' read the same story to the man.  The man tie him in the peas, an', after him belly full, he call to the man to let him go; but the man refuse,--all that he say he refuse until the master arrive. The master take Anansi an' carry him to his yard an' tie him up to a tree, take a big iron an' put it in the fire to hot. Now while the iron was heating, Anansi was crying. Lion was passing then, see Anansi tie up underneath the tree, ask him what cause him to be tied there. Anansi said to Lion from since him born he never hol' knife an' fork, an' de people wan' him now to hol' knife an' fork. Lion said to Anansi, "You too wort'less man! me can hol' it. I will loose you and then you tie me there." So Lion loose Anansi an' Anansi tied Lion to the tree. So Anansi went away, now, far into the bush an' climb upon a tree to see what taking place. When the master came out, instead of seeing Anansi he see Lion. He took out the hot iron out of the fire an' shove it in in Lion ear. An Lion make a plunge an' pop the rope an' away gallop in the bush an' stan' up underneath the same tree where Anansi was. Anansi got frighten an' begin to tremble an' shake the tree, Lion then hol' up his head an' see Anansi. He called for Anansi to come down. Anansi shout to the people, "See de man who you lookin' fe! see de man underneat' de tree!" An' Lion gallop away an' live in the bush until now, an' Anansi get free.